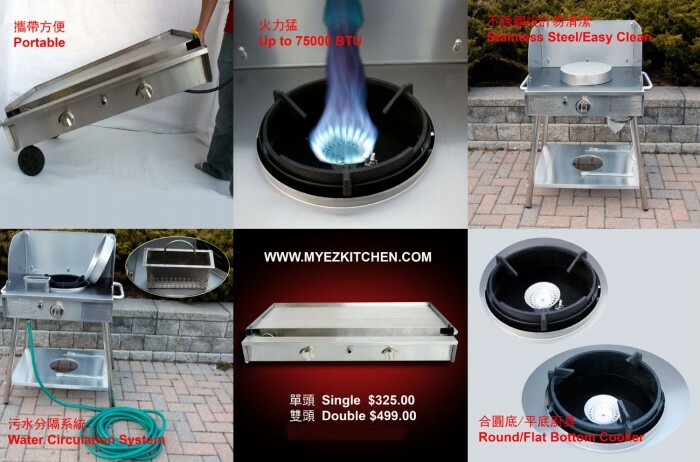 A portable and easy-to-clean kitchen stove includes a tabletop and supports, the tabletop being provided thereon with circular burner openings, beneath which burners are installed as well as chimney-shaped thermo-protective devices and pan adapters are arranged in turn, the burner openings being circumferentially welded with baffle rings, the tabletop being fixedly connected at the edge thereof with rims and flexibly connected at the edge thereof with a shield in turn, a drainage being disposed in front of the burner openings, the ends thereof being provided with a separator, a platen being disposed between the drainage and the front edge of the tabletop, beneath which sockets for assembling and disassembling the supports are arranged. This enables the kitchen stove to be simply structured, foldably carried, sanitary, quickly assembled and suitable for use at home and outdoors. Our product already have 5 other country patents. Please go to my website, We have video to show you how our product. Thank you! 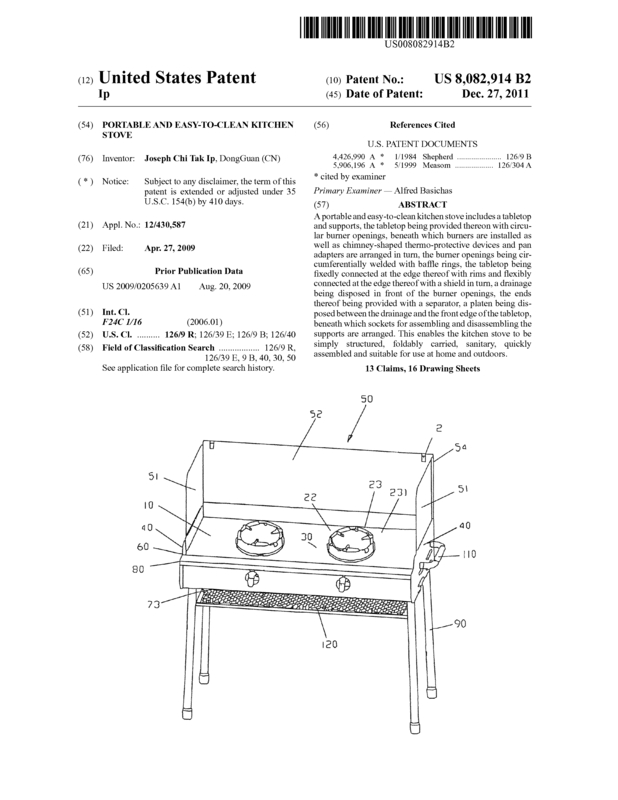 Page created at 2019-04-21 4:40:41, Patent Auction Time.